1. What can this student’s experience tell us about working with international students and/or those whose first language is not English? 2. How could universities, academic staff and fellow students support international students and/or those whose first language is not English? 3. What could you do in your role with your students? The transition to living and studying in a new country, particularly one in which a new language is spoken, presents a number of challenges. Whilst all students need a high level of language proficiency in order to apply for university study, in practice students can still feel concerns about not understanding and not being understood. As in the example above, certain contexts - such as more informal modes of communication like discussion groups – can be more problematic than others. There are also a number of cultural barriers and social norms that students are required to familiarise themselves with. In the example above, the student is self-conscious about not being understood and this affects her participation in class. She is also concerned that the tutor might see her as a poor student as a result of not taking part in the same way as her peers. Avoid unnecessary jargon. Where complex terminology is used, provide definitions or links to further information. Be conscious that there could be multiple reasons for students not participating in group activities. Allow a range of opportunities for participation – from paired discussion, to individual reflection – to allow all students to demonstrate their abilities. Avoid singling out students for being different but recognise when students may need extra assistance or support by establishing clear and effective channels of communication. Schedule in group work to encourage students to practice their academic English and to build a sense of community amongst the cohort. Provide space for students to reflect on experiences from the perspective of their own culture. This has benefits for the student in making them feel valued, yet also allows other students to learn from diverse perspectives. Check your reading list for whether it reflects global scholarship and global concerns on your topic. 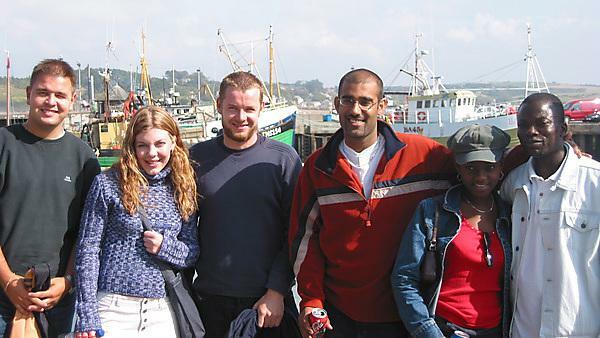 Hear international students discuss their study experiences at University of Plymouth.